It’s a special 4/20 edition of out monthly community schvitz party! Sweat Sanctuary is a monthly shvitz party for queer women and trans and non-binary folx. This month, we're serving heat at the lovely North Brooklyn Farms in Williamsburg. Come treat yourself to a relaxing Sunday sauna sesh at this plot of paradise. A ticket gets you full sauna access. We have an outdoor shower to cool down, plenty of seating to chill between sauna rounds, and we'll be serving *~*vitality water*~* all night to keep you hydrated. $3 Robes are available for rent at time of check in. A bench towel is included. Purchase a ticket to shvitz with farm, or just stop by for some farm hangs with city views. The farm also allows for outside food and drink, so feel free to bring treats. 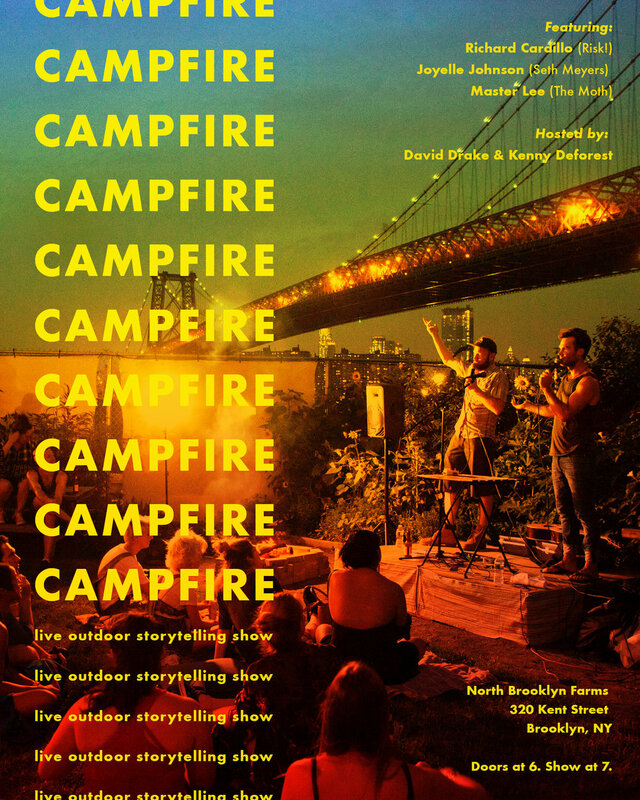 Campfire is a series of live outdoor storytelling shows around fire that aim to put a modern spin on an ancient art form. 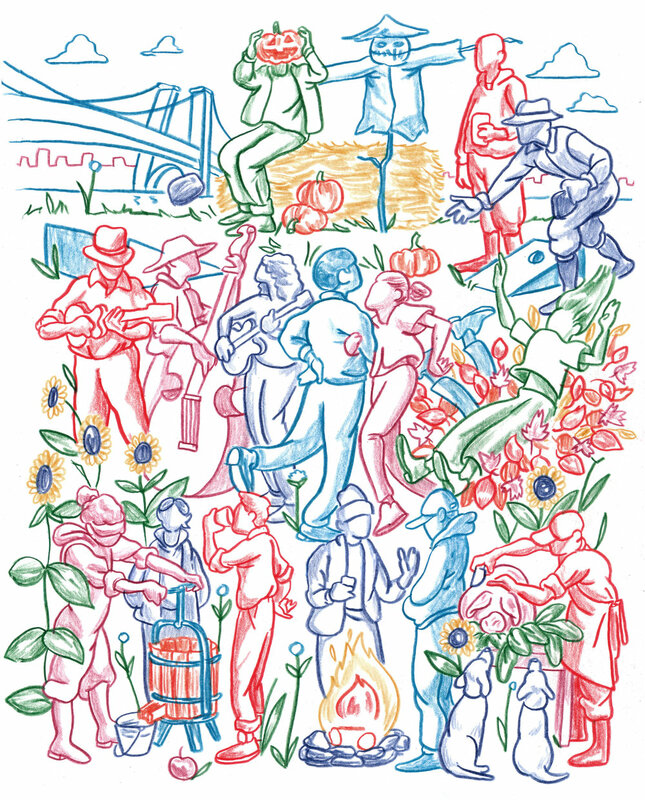 This month’s show takes place on the scenic riverside of North Brooklyn Farms in Williamsburg and features Jo Firestone (Fallon), Guitler Raphael (Dope Show), Friends Who Folk (The New Yorker), and Sean Patton (Comedy Central). Hosted by David Drake (Sirius XM) and Saurin Choksi (Brown Privilege). Our monthly Come Get Hot party is back. This month, we're sharing our #woodburninglove at the beautiful North Brooklyn Farms. Come treat yourself to a relaxing Saturday sauna sesh in this plot of paradise. Any racist, classist, sexist, homophobic and transphobic behavior will absolutely not be tolerated. HotBox Mobile Sauna is operating at the farm for the whole month of October and we couldn’t be more excited! Book online and come enjoy a schvitz on the farm. Delicious natural wines, local ciders, craft beers & lawn games on the farm! Bakeri, Smallhold, The Meat Hook, and North Brooklyn Farms present Family Style: An Evening to Benefit the ACLU. Join us as we come together to help families struggling to reunite at the US/Mexican border. Ticket price includes a four course family-style dinner, endless wine, and participation in a silent auction. In collaboration with chefs Tara Norvell, Lauren Gerrie, Flannery Klette-Kolton, Diego Moya and Chinchakriya Un.100% of proceeds (at least 80% of ticket sales) to benefit the ACLU. Vegan options available. Rain or shine. It's that time of year again - the 6th annual Harvest Carnival at North Brooklyn Farms!!! Free and open to the public from 4-9pm on Saturday, October 6th. We'll have some amazing New York ciders available for sale all day, as well as some delicious natural wines, local craft beers, seltzers & hot cider. 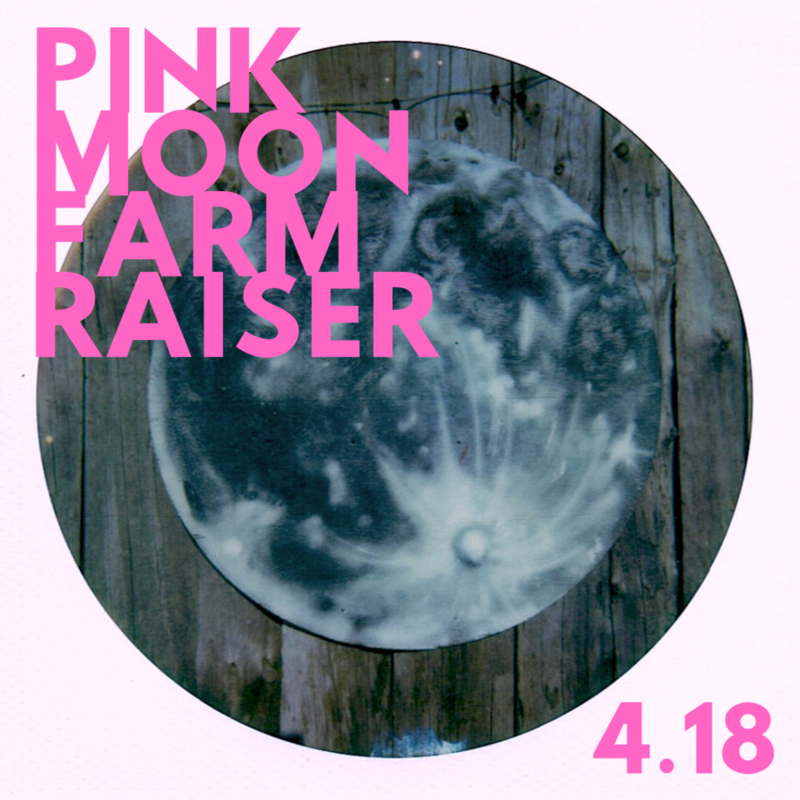 Plus straw bales, a leaf pile, fire pits, a very special cider pressing by Ryan Watson, art by Massimo Mongiardo, lawn games & Alex Kramer and his band calling our annual square dance from 7:30-9pm. From 5-8pm we'll be hosting a special tasting with some of our favorite cider makers, including Brooklyn Cider House, Graft, Scrumpy Ewe, Metal House, Wayside, Descendant & more. Not to mention our very own founder Ryan Watson will be pouring his own cider from Wild Russet farm in Jeffersonville for the first time ever! Tasting tickets include exclusive unlimited pours of all featured ciders from 5-8pm. Join us for a special edition our Sunday Supper dinner series at North Brooklyn Farms as the sun sets over the looming Williamsburg Bridge and iconic New York City skyline featuring the amazing wines of Fjord Vineyards. Flanked by Storm King Mountain to the west and Mt. Beacon to the east the Hudson River flows through one of the oldest Fjords in North America. Acting as a gateway to the Hudson Highlands, this geological wonder helps create the unique micro climate that allows us to grow high quality wines here in the valley. Founded in 2013 by Matthew Spaccarelli and Casey Erdmann, Fjord Vineyards strives to craft wines that reflect where they are grown. For the better part of a decade, Matthew has been sustainably growing world class wines here in his native Hudson Valley. Over two decades, New York City’s Gamelan Dharma Swara (DS) has built an international reputation as one of the country’s most accomplished and innovative ensembles—tackling a diverse and daring repertoire of both classical Balinese and contemporary music. For the first time in its nearly 30-year history, DS will open its new season with a public gamelan blessing ceremony followed by a fund-raising reception. A blessing ceremony is a special event in Bali, wherein the community convenes to seek spiritual protection and good luck for specific objects. Held under an auspicious full moon, the ceremony entails the ritual purification of the objects, animating the spirits that inhabit them through prayer, and culminates in the expression of gratitude for their protection. Elaborate offerings of hand-woven coconut palm leaves filled with flowers and food are carefully prepared in advance for this purpose. The gamelan blessing ceremony signifies a milestone moment for DS, who for the last 20 years performed and practiced on borrowed instruments from generous host institutions. It will be the first one conducted since the new instruments made their journey from Bali to New York in 2017. A feast for the senses, the audience will take in impressive views of the Williamsburg Bridge and Manhattan skyline all while enjoying an afternoon and evening of music. The public ceremony will be followed by a ticketed season launch reception. Attendees will enjoy exclusive performances by Talujon Percussion and members of Nouveau Classical Project, with food and beverages furnished by Bali Kitchen and Flatiron Wines. “Gamelan” refers to the traditional percussion orchestras found in Indonesia, and to the music performed on them. An integral part of Indonesian history and culture, gamelan and its accompanying dances are a fixture of religious ceremonies, palace rituals, shadow puppet performances and many other communal and social occasions. Gamelan Dharma Swara (DS) is an ambitious, artist-led 501(c)3 organization based in New York City. Dedicated to performing traditional Balinese gamelan music/dance and new works by leading Balinese and non-Balinese composers, DS has earned critical acclaim from national and international press and has established a reputation as one of the leading gamelan groups in North America. For more information, visit www.dharmaswara.org. The Nouveau Classical Project is a contemporary classical music ensemble "...bringing a refreshing edge to the widely conservative genre" (VICE). Led by Sugar Vendil and Mara Mayer, NCP explores imaginative multidisciplinary ways to present and experience new music through commissions and collaborations. For more information, visit www.nouveauclassical.org. Described by the New York Times as an ensemble possessing an “edgy, unflagging energy”, the New York City-based Talujon Percussion Quartet has been mesmerizing audiences since 1991. Talujon is thoroughly committed to the expansion of the contemporary percussion repertoire as well as the education and diversification of its worldwide audience. For more information, visit www.talujon.com. Hailed as “a boon… to the city” by the Village Voice, Bali Kitchen is filling a void of Indonesian eateries in New York with its grab-and-go shop in the East Village. Opened in 2017, Bali Kitchen offers a wide ranging menu of satisfying snacks and hearty meals, and has quickly become a neighborhood destination for experiencing the diverse flavors and hospitality of Indonesia. For more information, visit www.balikitchennyc.com. Flatiron Wines is a nationally recognized wine shop with locations in New York City and San Francisco. Named one of the top 50 "wine destinations" in the United States by Food and Wine Magazine, Flatiron has been described as one of New York City's best wine stores in numerous publications, including the New York Times, New York Magazine, the Financial Times, and others. For more information, visit www.flatironwines.com.